I read somewhere that it's sad that a certain popular Gospel concert doesn't have one Urban Gospel act on bill. But that's not the sad part, the sad thing is we are still waiting for these folks to support us when we can't even support ourselves. Gosh, what would happen if we all put our resources together? Can you imagine what we can do together, under one umbrella, pushing one cause? Until we are able to do that, we can't be taken seriously as a movement. Which is why you have single individuals breaking through whilst the rest struggle. Divided we fall, but together we stand strong, is what they say. If we can come together as one, there's nothing we cannot do. We can hold huge events thoughtout the year. We can host programs on radio and tv. We can shoot good videos and produce excellent tracks and collaborations. And in due season, we can even own our very own multimedia houses. My dream for Urban Gospel is to see it blossom and be recognized in Africa and the world. But like Abraham, God, sometimes, gives you big dreams that will be fulfilled by the next generation, maybe that's the case for me but till then, I will continue to lay the foundation, if that's all I have to do. These days no one seems to care about Urban Gospel. It's all about me me me. Really sad. No unity. No Love. No support for each other. We smile when we meet at events and all but what happens after the concert? You can't collaborate until the Holy Spirit tells you to, but you expect people to share your songs when you release it? One artist is making waves and breaking through, from one tv to another, radio to radio, newspaper features, website promos etc, but will not help the young upcoming artist access the same resource by showing them around the ropes, who to speak to, where to go etc. Do you blame them, maybe partly but the truth is, until we are UNITED, it will be every man for himself, God for us all. If we can't put the needs of Urban Gospel first but continue to think it's all about you. If we can't come together under one body and contribute our resources, be it financial, intellect, property etc. If we can't see beyond just our ministry and see the bigger picture that together the sky is the limit. If we want to remain in our little corner, performing to church folks and thinking we have arrived, but can't gather millions of lost souls to minister to. 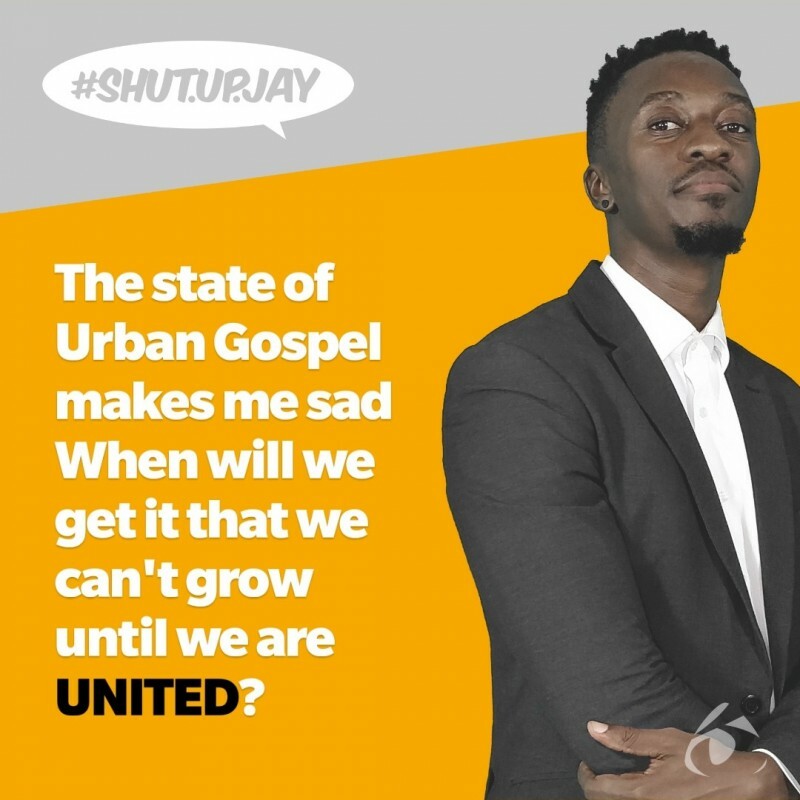 If we can't UNITE, then there's no hope for Urban Gospel. I certainly can't do everything, I did and still doing whatever I can do, with my amazing team, to push Urban Gospel. The enemy has tried so many times to shut us up, but no matter how hard he tries, we still use our resources, no matter how limited it is, to push this movement and God being good, we still here. RJE is growing and gradually making impact. Because that's what RJE was setup to accomplish. An organization that isn't bias, that puts the interest of the movement above any one artist/minister. An organization with resourceful persons in all works of life that will ensure that we have total coverage and access to anything we want to do from events, tv/radio programmes, awards, movies, and music. An organization that has an active database of all proactive Urban Gospel Ministers so that when the time comes for a company, event organizer in need of a capable artist, they know who to contact to get that intel. With all these measures in place, there is order, there is understanding and most importantly, there is growth. Instead of bringing what you have and joining us, you rather want to start something new from the ground up....This attitude is not helping anybody. A wise man once asked, why reinvent the wheel? This industry is bigger than any one person and the only way we can move forward effectively is if we move as one.